A lovely illustrated guidebook with everything you need to know to go vegan – for good! 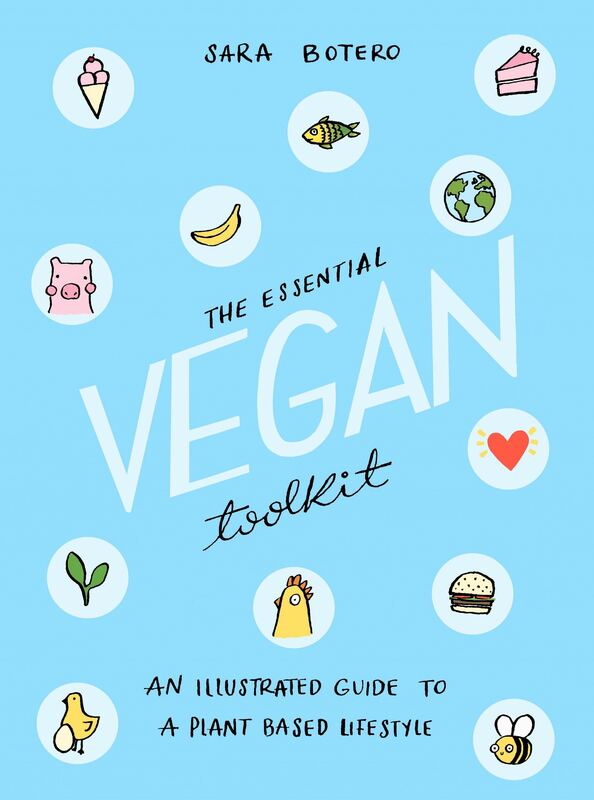 The Essential Vegan Toolkit is the perfect guide for anyone interested in becoming vegan. It’s easier than ever to make this lifestyle change, so why not give it a go? Sara Botero’s charmingly bright illustrations will guide you on your way – and make you smile as well! Sara Botero was born in Colombia, and for as long as she can remember she has drawn and painted. Having grown up surrounded by nature, she is passionate about creating positive change and protecting our environment, which led her to study Environmental Science at University of Reading. After graduating, art once again became a big part of her life, but now she uses it to spread important messages such veganism, zero waste and intersectional feminism. Follow Sara on Instagram.